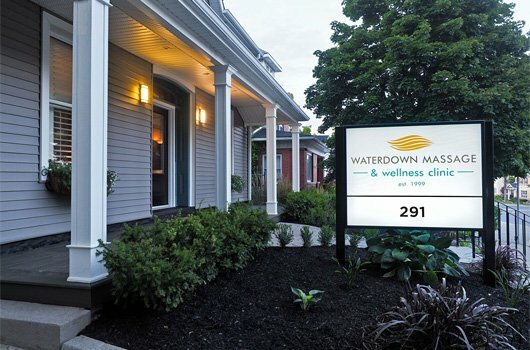 For 17 years, Waterdown Massage Therapy has boasted an exceptional team of therapists and a clientele now exceeding 5,000. Our clients are children with growing pains, students who carry heavy backpacks, stressed out working parents, athletes, pregnant women, doctors, dentists, truck drivers, artists, musicians, and retired folks. Anyone and everyone ranging in age from 4 to 84! Why have we been so successful? Great people with great hands who do great work! Treatments are tailored to meet your specific needs and, when appropriate, the therapist will recommend exercises, home-care, and/or complementary therapy in an effort to allow you to actively participate in your own health care. While you are welcome to make an appointment without a doctor’s referral, we often work in conjunction with your family physician, chiropractor, or physiotherapist to optimize your progress toward optimal health.